Passengers with an ADA disability are eligible for 50% discount. Passengers can self-report their age or disability. 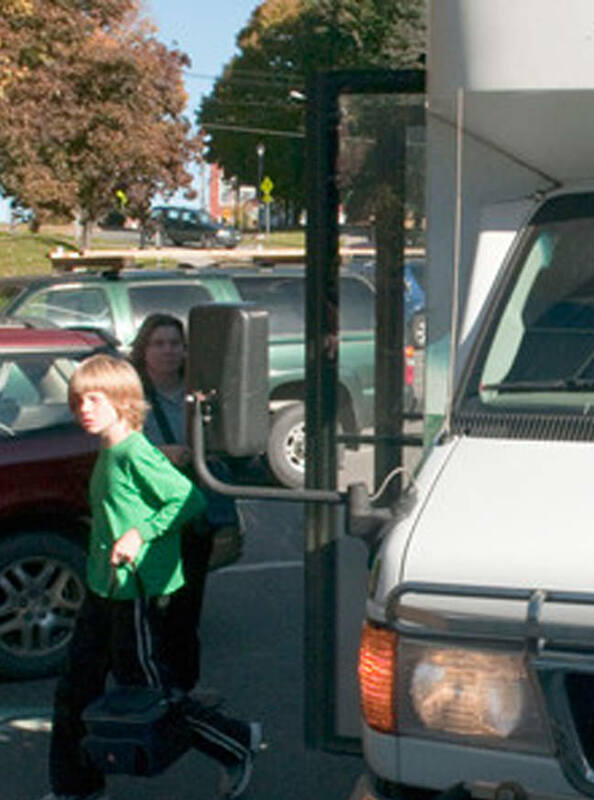 Wheelchair Lifts All vehicles are equipped with wheelchair lifts. If you require the use of a wheelchair lift, our trained drivers will assist you in getting on and off the bus. Special Assistance To ensure the best possible service, all riders needing special assistance are encouraged to call the office ahead of time. Please note, the step height to board ACTR buses is between 10” and 12”.